Software for network operators to plan, design, and operate a better fiber optic network. Connect with us to see why thousands have chosen OSPInsight for over 25 years. Trusted In The Field For 25 Years. 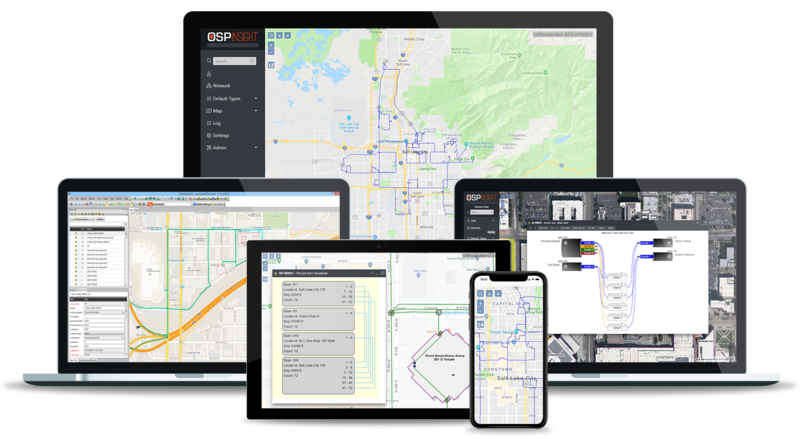 Built by OSP Engineers, OSPInsight software has been helping fiber network operators plan, design, and operate their fiber networks since 1994. At its foundation, OSPInsight is built for streamlined fiber documentation. If you find yourself managing splicing in spreadsheets, struggling to piece together reports, or if it takes hours to track down a fault, find out how a database driven solution can increase your team's efficiency and save you money. 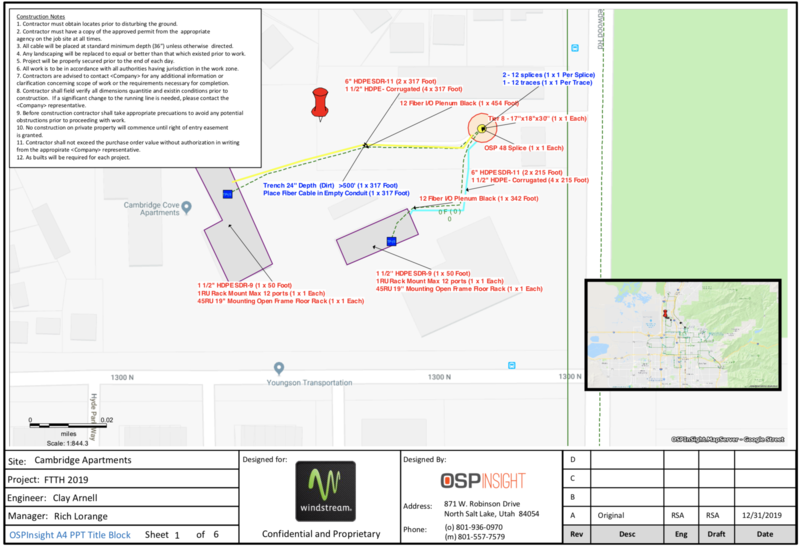 Use OSPInsight to plan new builds, estimate costs, and design efficient connectivity in your network. Draw redlines, create work orders, and coordinate with crews on the ground. Whether it's a splicer cutting in a new lateral or a fiber breaking because of environmental stress, your network changes constantly. OSPInsight provides you the tools to not only react, but to proactively manage your network. OSPInsight gives you accurate information when you need it, so you know exactly what’s happening in your network. Easily create reports, graphs, and maps for accounting, management and engineering in a matter of seconds. With OSPInsight, I know I'm getting software that actually works in the field. OSPInsight is more than a vendor, they are a trusted partner and advisor. Their team has significant experience in documenting and managing fiber networks. It doesn't matter what GIS system you're using, or if you change in the future. Coordinate with your field crews with mobile ready reports and web applications. Plug in an OTDR trace and map exactly where the break occurred. Open database structure allows you to integrate with your CRM, OSS, and other tools. Run route detail reports, schematics, at fiber level detail with a few easy clicks. Estimate how much new network development projects would cost to execute. For 25 years customers have chosen OSPInsight to help them manage their fiber networks. OSPInsight has changed the way we run our business. It has allowed us to gain more control over our fiber assets, and we are able to inventory, plan and forecast more than ever before. The taper report feature was something that really convinced us that the system could produce usable and easy to understand critical data. It has made troubleshooting easier, which is vital during a fiber cut or similar outage where time is precious. We also use the Splice GUI tool, this has made it easy for even a novice to get up to speed quickly on creating connection pathways and routes. OSPI has given us the added benefit of increased understanding and communication between our inside and outside teams. Over the last few years, Atlantic Broadband’s fiber network has grown extensively, both organically and through acquisitions. The time had come to procure a fiber inventory system to help us manage and maintain it to deliver the performance and reliability our customers require. OSPInsight fiber management tool was the clear choice to support our 7,000+ miles of fiber. OSPInsight’s interface is intuitive and its clean, streamlined design makes it easy to use, saving us time, money and resources. OSPInsight is a great tool for keeping track of network assets. We can keep a running count of all our network from top to bottom. You can easily call up at any time any part of our circuits. This software and the support system behind it have made it a far better working environment from logistics, to trouble shooting. We have over the years looked into other companies and their products but have not found any to top or even compare to the working product that OSPinsight is. We built this software to the level of detail and workflows we need, and we stand by it because we use it everyday. Thousands of customers have trusted us for the last 25 years. Connect with us to find out why. Fiber Management Software, built by OSP Engineers, to plan, build, and operate a better fiber optic network.